Billy and Karen Vaughn are the parents of fallen Navy SEAL Team VI member, Aaron Carson Vaughn. The downing of a chopper (call sign Extortion 17) carrying thirty fearless American warriors was the day Aaron’s life ended and the day their lives began again. As Billy and Karen began searching for answers their eyes were opened to vile atrocities being played out on America’s military. They’ve now become advocates for our war fighters…exposing the criminal Rules of Engagement, which have unnecessarily cost so many American soldiers their lives. Billy has authored the book “Betrayed” detailing the days, weeks and months after his son’s death, as he began compiling this devastating information. The Vaughns spend a considerable amount of time on Capitol Hill, and have shared their story on countless local, state and national radio outlets. They’ve made many appearances on Fox & Friends, as well as Beck TV, The Huckabee Show, Hannity’s America, The Today Show, The Andrew Wilkow Show, The Willis Report, The Kelly File, Geraldo at Large, and more. “General Shinseki is a decorated, disabled U.S. Army veteran who served our country courageously for decades. For his service, we owe him a debt of gratitude. Nevertheless, his departure from the VA is an important first step in restoring confidence in a troubled department. SUNACRW encourages you to support our troops and veteran on Armed Forces Day. Posted by * * * in Coalitions - Veterans, NFRW, PFRW, SUN Area Republican Women, Suport our Troops. Comments Off on SUNACRW encourages you to support our troops and veteran on Armed Forces Day. 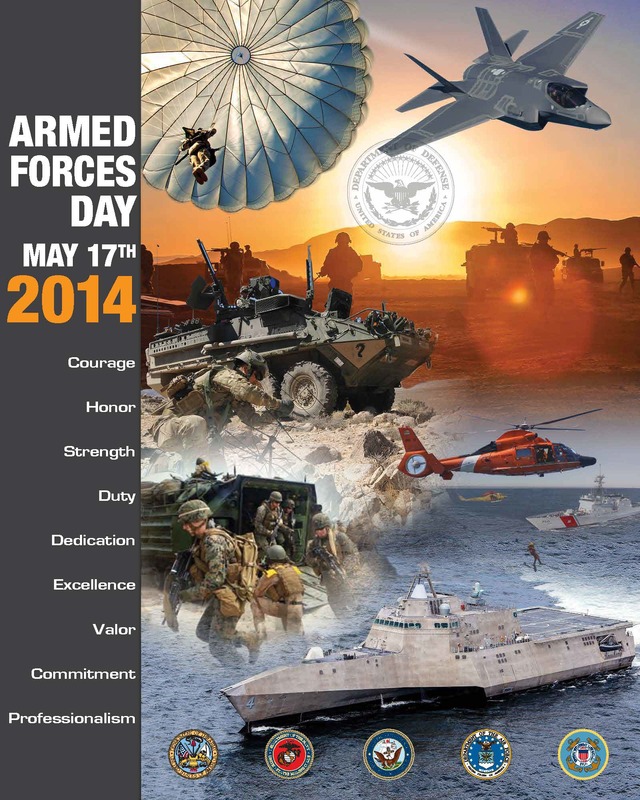 Saturday, May 17, 2014 is Armed Forces Day. President Harry S. Truman led the effort to establish a single holiday for citizens to come together and thank our military members for their patriotic service in support of our country. On August 31, 1949, Secretary of Defense Louis Johnson announced the creation of an Armed Forces Day to replace separate Army, Navy, Marine Corps and Air Force Days. The single day celebration stemmed from the unification of the Armed Forces under the Department of Defense. 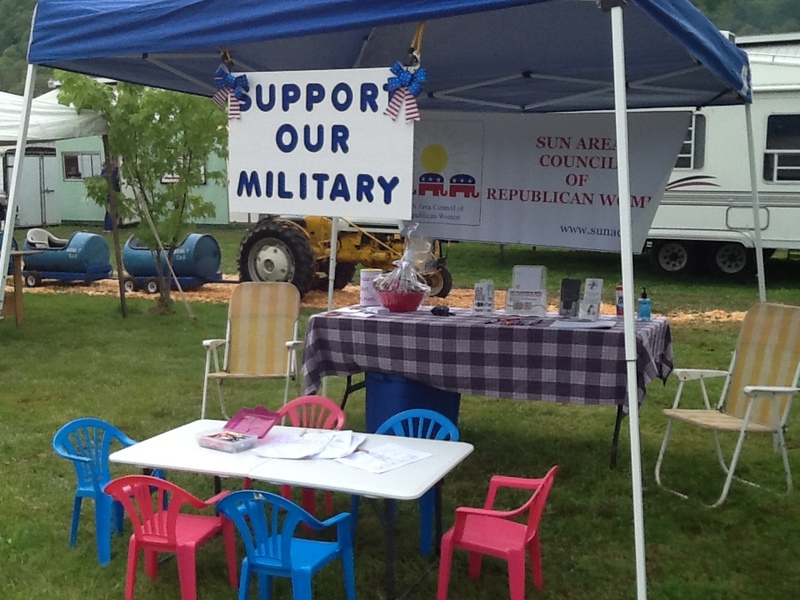 The SUN Area Council of Republican Women will host a booth at the Middlecreek Valley Antique Association’s Spring 2014 show. Please stop by where children may color a picture for our troops and veterans. Adults may also write a note of thanks and encouragement. In the past SUNACRW has delivered pictures from children and notes from adults to our veterans in hospitals and also sent words and pictures of encouragement to our troops oversees. They are so appreciative that are thinking about their sacrifices for our freedom. 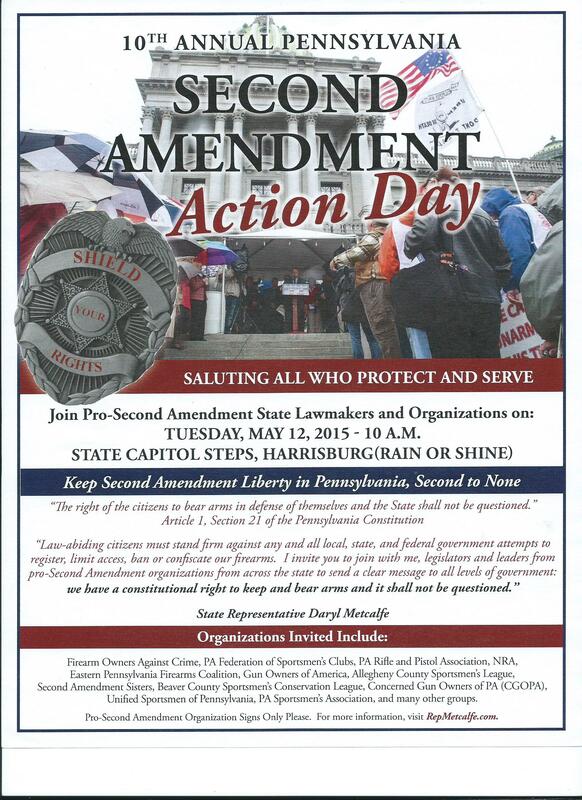 We hope you can stop by Friday night, May 16, 2014; Saturday all day, May 17, 2014; or Sunday, May 17, 2014.